4. A SCIENCE PROGRAM FOR MANNED SPACEFLIGHT. Science in Space to 1965. Organizing for Manned Space Science. Scientists and Man in Space. More Advice from the Scientific Community. In his press briefing on 26 January 1967, George Mueller described an Apollo Applications Program with a large scientific component. Most of that scientific work had been defined only in the preceding year; late in 1965, Marshall Space Flight Center's space science director had noted to von Braun, "The list of scientific experiments available for early AAP flights is remarkably short." 1 Although NASA had assembled a long list of scientific studies for an earth-orbiting laboratory (pp. 18, 77), only three experimentsi were actually under development. Considering the tenuous state of AAP at the time, that was hardly surprising. But since AAP missions would use hardware that was already moving into production, while scientific projects existed mostly on paper, experiments demanded attention-especially after Mueller ordered acceleration of the orbital workshop project in December 1965. Early in 1966 Headquarters began canvassing the field centers for experiments that had been developed enough to be flown early at minimum additional cost. The fact was that experiments were new to manned spaceflight. The Office of Manned Space Flight and its field centers, loaded with Saturn and Apollo work, had little time to give to peripheral concerns, while the Office of Space Science had only recently worked up real interest in the manned program The two offices would have to learn to work together; and because they had different histories, objectives, and approaches to their work, there would be some lost motion while they learned. In that position Newell had to balance the appetite of scientists for research support against the funds provided by a generally practical-minded Congress. Space research, though it had a long jump on manned spaceflight, was neither as glamorous as the manned programs nor as obviously practical as, say, medical research. Newell found this regrettable, because he felt that the exploration of the solar system was potentially more comprehensible to the average citizen than some other sciences.5 But an unmanned satellite, crammed with miniaturized electronics, silently transmitting measurements from orbit to other instruments on the ground, was not something to stir the imagination. From that standpoint, not even some of OSS's dramatic "firsts"-photographs of the earth from orbit or of the moon from its surface-could match the challenges of manned spaceflight: human challenges, easily understood, which naturally drew the lion's share of public attention. The one thing OMSF could not tolerate was operational failure. From the beginning, the survival of the astronaut and the completion of all mission objectives were the primary concerns. Elaborate test programs ensured that every part of a manned spacecraft or its booster met rigorous standards of safety and reliability. Every test, every inspection was thoroughly documented for possible analysis in case of failure. It was one thing if a Delta booster failed and an astronomy satellite was lost; it was something else again if a Titan exploded with two men in its Gemini spacecraft. Meanwhile Brainerd Holmes was encountering complications with NASA's agreement to fly Air Force experiments on Gemini spacecraft whenever possible. The involvement of DoD made the program complicated and sensitive enough that Holmes sent several OMSF observers to participate in Houston's review of experiments; the In-Flight Experiments Panel would report its recommendations to Headquarters, and the joint NASA-Air Force Gemini Program Planning Board would assign experiments to flights. Holmes also prescribed priorities for Gemini experiments: first, NASA experiments directly supporting the objectives of Apollo (including medical experiments); second, DoD experiments; third, other experiments.14 Since most scientists' experiments fell into the third category, they had reason to feel that they were being tolerated but not very strongly encouraged. Thus by the time its second program started, OMSF had the organizational machinery to solicit, evaluate, and develop experiments. Scientists disliked the cumbersome bureaucratic system, especially the detailed documentation it required; but NASA had to make certain that experiments were scientifically worthwhile, that they would work in flight, that the crews knew how to operate them, and that they would not jeopardize a mission or an astronaut. On the whole the system worked; its main features were retained during the rest of the manned spaceflight program. Gemini gave medical investigators their first chance to answer some crucial questions that had been raised by the Mercury flights, during which the medics' principal task had been to support flight operations. While Mercury had allayed many of the fears expressed in the 1950s, it had also produced evidence that weightlessness had potentially serious effects on the circulatory and skeletal systems. Gemini's longer flights offered the chance to monitor physiology more extensively and to conduct some inflight medical experiments.20 As in Mercury, managers in Gemini were primarily interested in medical certification that weightless flight was safe-at least for eight days, the anticipated length of a lunar landing mission Medical researchers, however, aware of the marked individual differences among crewmen, wanted as much data as they could get, to give their conclusions a better statistical base. After the eight-day flight of Gemini 5 in August 1965, pressures mounted to discontinue the medical studies, which cut deeply into training and flight time.v Gemini 7 (4-18 Dec. 1965) was the last flight to conduct more than one medical experiment. John Kennedy understood the wider appeal of manned spaceflight and determined to put the U.S. ahead in all phases of space exploration; but his science adviser, Jerome Wiesner (a member of PSAC from its inception in the Eisenhower days), tried to change the new president's mind. A task force headed by Wiesner reported on 12 January 1961 that the emphasis on Project Mercury was wrong; instead, NASA should play down Mercury's importance and find ways "to make people appreciate the cultural, public service, and military importance of space activities other than space travel. "23 Beset with problems, Mercury offered the U.S. Iittle chance of surpassing the Soviets at an early date. Kennedy's decision to commit the nation to Apollo established the dominance of technology over science in NASA's programs. Scientists immediately objected to the space program becoming, as one astronomer told Sen. Paul Douglas of Illinois, "an engineering binge instead of a scientific project." Space scientists, justifiably proud of the sophisticated instruments they had developed, were disappointed that the public did not appreciate the scientific leadership they represented.25 Many scientists took the Wiesner-PSAC view to the public in the period following the Apollo decision, but they were fighting a losing battle. Acceptance of "man on the moon in this decade"-and Congress emphatically had accepted it-dictated an engineering program to develop launch vehicles and spacecraft that dominated NASA's budget and the public's attention until it was completed. Scientists who opposed it underestimated the  fascination that this gargantuan technology held for the media and the public. Within a year scientists who had feared Apollo's fiscal appetite found their apprehensions well grounded. Preliminary consideration of NASA's FY 1964 budget in the fall of 1962 almost led to the sacrifice of unmanned science programs. Only a convincing argument from Administrator James Webb persuaded the president to leave them alone.30 When NASA went to Congress in the spring of 1963 asking for $5.71 billion, talk of budget cuts became common. Webb and his lieutenants held out, however, insisting that the 1970 goal could not be met on a smaller budget. Whether from a belated realization of the magnitude of the Apollo commitment-at least $20 billion-or because of the sudden sharp increase in NASA's budget request, critics raised questions about the nation's priorities, calling the lunar program a technological stunt that would cost far more than it was worth. During the spring and summer a number of respected scientists (most of them not connected with the space program) added their voices to the chorus of objections. Severe cuts were made in NASA's budget requests during 1965, however. OSSA was reduced by 16%, from $783.2 million in FY 1966 to $661.4 million in its FY 1967 request. Hard choices had to be made. Many projects were cut back, but AOSO had to be canceled, because its funding requirements were particularly high in the upcoming fiscal year.40 The OSOs would continue, and although they might take on some of the work that AOSO would have done, they could provide neither the quality nor the quantity of data that the second-generation observatory was designed to gather. Homer Newell was worried as 1966 began, not so much for the loss of AOSO as for the survival of a significant space-science program. He could hardly help remembering the close call that space science had had only four years before, and he saw the same pressures building again. Early in the new year he sought help from Gordon MacDonald of UCLA, who had served on both the President's Science Advisory Committee and the Space Science Board and was an active supporter of OSSA's programs. Newell wrote him that the accomplishments of space science once again were in danger of being overshadowed by the glamour of manned spaceflight. With the nation committed to Apollo and money getting harder to come by-Vietnam was starting to make substantial demands on the nation's resources-space science would suffer. If scientists did not demand support for a first-class research effort, Congress would not give it. Budget cuts already made with little protest from scientists were fostering an attitude that the programs were less important than OSSA had said. Manned space science needed outside support too. 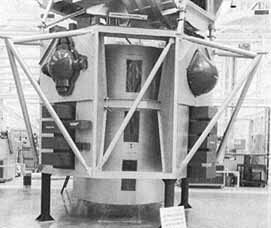 The volume and weight capabilities being developed in Apollo were enormous, and academic scientists had not come close to making full use of them. Without high-quality proposals from outside, "there is a strong tendency [in OMSF] to get experiments just to have experiments to fly." Newell's staff was trying hard to keep the manned program scientifically respectable, but help was needed. He urged MacDonald to speak out, to testify before congressional committees if he could, and to "prod and needle some of your colleagues to do the same.'' 41 Newell was having to rally space scientists to their own cause; the vigorous protests of 1963 were not heard in 1966. The key features of the ATM were provision for control and adjustment by the astronauts and use of photographic film to record data.xii It could not replace AOSO, because AOSO had been designed to observe the sun continuously for 9 months while the proposed ATM flights were limited to 14 days. But after AOSO was canceled, the ATM became the only possibility for observing the solar maximum with high-resolution instruments OSSA thus had an important scientific project in need of a vehicle at the same time OMSF was looking for important scientific experiments to fly in the Apollo Applications Program. Newell and Mueller began talking about combining the two early in 1966. A mockup of the Apollo telescope mount installed in the lunar excursion module, January 1967. The combination was never built. MSFC A49627. Mueller saw a Marshall-based ATM project as the solution to several problems, but he was already getting objections from within his own organization. A strongly worded letter from Robert Gilruth (pp. 45-46) was on his desk while the project was being discussed with Seamans; the MSC director objected both to the use of the lunar spacecraft as a laboratory and the assignment of integration to Huntsville. Ignoring Houston's protest, Mueller went ahead. He decided on 18 May that the entire ATM system, except for the telescopes themselves, would be designed, built, and integrated into the lunar module at Marshall. On 8 June Huntsville planners started talks with the lunar module's prime contractor, Grumman Aircraft Engineering Corporation, and shortly thereafter MSC authorized Grumman to study the compatibility of the ATM with the lunar module. OSSA objected to a mission assignments document issued in June by the AAP office, because the orbital altitude and inclination, proposed launch dates, and operational plans did not agree with OSSA's intentions.45 Again, Mueller pressed on. Newell and Mueller met with Seamans several times in June and July, seeking his signature on their competing project approval documents. On 11 July the three agreed that the entire ATM project, experiments and all, should be transferred to Marshall for development. This decision resulted from a growing feeling at Headquarters that it was best  not to divide responsibility for such a complex project, and Goddard could not manage the whole package alone.46 After that, it was a safe bet that Mueller's plan would be adopted. He continued to give Seamans technical data, including the results of tradeoff studies comparing various locations for the ATM and recommending that it be mounted on the lunar module. Other factors contributed to MSC's opposition to Mueller's plan. The summer of 1966 was a particularly trying time for the lunar-module project Grumman was experiencing severe technical and management problems, and the MSC program office had its hands full trying to find a way out of two years of serious difficulties. They did find a way, in spite of Mueller's insistence on complicating their problems by bringing in another project and another center. Eventually MSC's Apollo Spacecraft Program Manager asked Mueller directly why he continued to back the lunar-module laboratory in the face of all its technical drawbacks; were not his motives at least partly political? Mueller's reply was that they were not partly political but completely political. "49 The necessity to hold the Marshall team together, combined with the need to avoid anything that looked like a major new project, left him little maneuvering room. Cross section through the telescope mount canister, showing the cruciform spar and instruments. By the time George Mueller presented AAP to the press on 26 January 1967, the program was, as he indicated, making a substantial start in manned orbital science. The medical experiments on the first mission would help determine what man could do and how long he could function in zero gravity; the ATM experiments were expected to settle many questions about man's usefulness as a scientist and (it was hoped) gather solar data of unprecedented quality; and the many smaller experiments would yield information useful to space technology and operations. Neither comprehensive nor perfect, the workshop and ATM missions were, scientifically speaking, a start. While OMSF was hammering out the details of its first post-Apollo project, the President's Science Advisory Committee was considering its answer to the question, "Where do we go in space from here?" Through 1966, 24 members of PSAC's panels on space science and space  technology examined the nation's space program. Their report, mainly concerned with broad policy recommendations, also contained several specific criticisms of AAP that were less than welcome just as Mueller was about to go to Congress to campaign for the FY 1968 budget.
. . . the proposed mode does not take us down the developmental path which we foresee for earth orbital astronomy.... It will very likely demonstrate dramatically the disadvantages of overconstraining the man physically while overburdening him mentally and doing both over a 1-month period with relief only during periods of sleep. Thus, we urge that the mission be conducted primarily for the value of the scientific return and that all mission parameters be optimized to that objective. And, having talked with some experienced astronauts, the scientists were wary of the complexities of mission operations. They urged that experimenters and mission astronauts work out an acceptable method of managing the experiments during flight.72 Evidently they had heard that all communications with orbiting spacecraft had to go through the CapComxiv-an arrangement which in their opinion could not possibly work for an astronomy mission. Less than a fortnight before the PSAC report was published, NASA and the space program were shaken by the fatal fire in an Apollo spacecraft at Kennedy Space Center.74 Among other consequences of the fire, the impact of the report was masked. Events would outstrip both the report and NASA's reaction to it; and for the next 18 months, AAP would be subjected to stresses far more taxing than adverse scientific criticism. i Experiment, as NASA uses the term, refers to any exercise whose purpose is to gather Scientific or engineering data, and also to the equipment used for that purpose. ii In Oct. 1967 Newell became associate administrator, NASA's third-ranking official. He retired in 1973.
iii A breadboard experiment is a working model containing all the components of the flight model but not permanently assembled. It is put together to prove that the experiment works and to allow easy modification during design studies. iv Many of the experiments were repeated on several flights. v Pre- and post-flight medical measurements were not so troublesome, but inflight experiments were Something else. One experiment (M-5, Bioassay of Body Fluids) required collecting and returning urine samples, even worse was M-7, Mineral Balance, which required strict control of diet and collection of all feces and urine before, during, and after flight. It was done only once, on Gemini 7. For one astronaut's comments on the Gemini medical experiments, see Michael Collins, Carrying the Fire: An Astronaut's Journeys (New York: Farrar, Strauss, and Giroux, 1974), pp. 145-48.
vi The Academy is a private, unofficial body chartered by Congress in 1863; its purposes are to advance the cause of science generally and to advise the government on scientific matters when requested. Membership is a mark of eminence in research second only (perhaps) to the Nobel Prize, though many first-rank scientists are not members. Daniel S. Greenberg, "The National Academy of Sciences: Profile of an Institution," Science 156 (1957): 222-29, 360-64, and 488-93, idem, The Politics of Pure Science (New York: The New American Library, Inc., 1967), pp. 12-15.
viiiThe first scientist-astronauts were recruited in 1965, the second group in 1967. Of 17 scientists recruited, plus one who qualified as a pilot, only one (a geologist) went to the moon, on the last mission. Three others flew in Skylab. Astronauts and Cosmonauts, Biographical and Statistical Data, report prepared for the House Committee on Science and Technology, June 1975.
ix This, of course, was done. Surveyor, Ranger, and Lunar Orbiter missions assured the feasibility of landing, provided useful data for the design of the lunar landing module, and certified the sites chosen for Apollo landings. x Lee DuBridge, an experienced scientific adviser to government, bluntly made one point that Others usually mentioned more delicately. If NASA's budget were cut, he said, the agency might shift funds from its Sustaining University Program to Apollo-something that DuBridge, president of Caltech, felt would be a great mistake. xiThe sun's overall activity, measured in terms of radiation and magnetic effects, varies in a period averaging 11 years from one maximum to the next. xii Film was not normally used in unmanned satellites because of the difficulty of recovering from orbit. For some purposes, however, astronomers preferred film to electronic detectors because of its superior resolving power. On a manned mission film could be brought back by the crew. xiii Only one was then in the astronaut corps, Lt. Comdr. Joseph P. Kerwin, USN, later scientist-pilot on the first Skylab mission. xiv The "capsule communicator"-the only person who talked directly to crews in orbit. Everything passed up by radio had to be cleared through flight operations officers and then communicated by the CapCom.